Take computer-delivered IELTS today and get your result fast in 5 - 7 days to speed up your overseas study/migration/working dream. Faster results in 5 – 7 days. Type your answer in a computer, with text highlight, copy and paste functions. More test sessions with up to 12 sessions a month. Select preferred speaking test timeslot during registration. Headphones are provided with Listening test. Now available at Sentral College Penang and British Council Kuala Lumpur. Register now and get a free pre-loaded Coffee Bean Card after the test. This promo is valid for computer-delivered IELTS test in Kuala Lumpur and Penang only. Promotion is valid for computer-delivered IELTS registration from now until 30 April 2019. You will receive an email notification with a reference code, example: A3-MY001-S-2772073. Take note of your reference code as this will be entered in the promo sign-up form. Fill out the Promo sign-up form here - https://www.britishcouncil.my/free-CBcard-form. Please ensure the reference code is valid. 50 pre-loaded Coffee Bean Cards to be given out every month, on a first-come-first-served basis. You will receive a confirmation email within five (5) working days upon successful promo registration. Your Coffee Bean Card will be given to you during the test day. Do well for IELTS and enjoy your drink after the test. Don’t miss it. 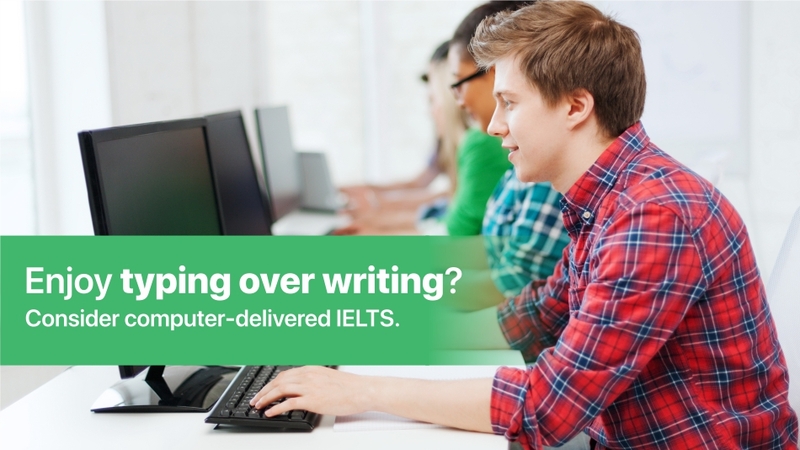 Register for computer-delivered IELTS today! This promotion is only applicable for the test takers who register for the computer-delivered IELTS test and complete the Promo sign-up form, from now until 30 April 2019. Eligible candidates will receive a pre-loaded Coffee Bean Card with a credit of RM30.00 upon successful test and promo registration. Successful candidates will have to redeem the pre-loaded Coffee Bean Card during the test day, after ID verification. All redemptions are on a first-come-first-served basis and strictly while stocks last, limited to 50 pre-loaded Coffee Bean Cards every month. If the drinks cost more than the credit available in the Coffee Bean Card, the additional amount will be charged to the test taker. Coffee Bean Card is non-transferable, non-exchangeable and non-replaceable for cash or kinds in all cases, whether in whole or in part. This promotion is not applicable for any offline or paper-based IELTS test registration. British Council does not warrant the quality of any Coffee Bean drinks and shall not be responsible for any consequence in connection with the promotion and/or redemption. It is a condition precedent for participation in the redemption that all candidates consent to the public disclosure of their names, NRIC/passport numbers and such other details as may be necessary in connection with the redemption.